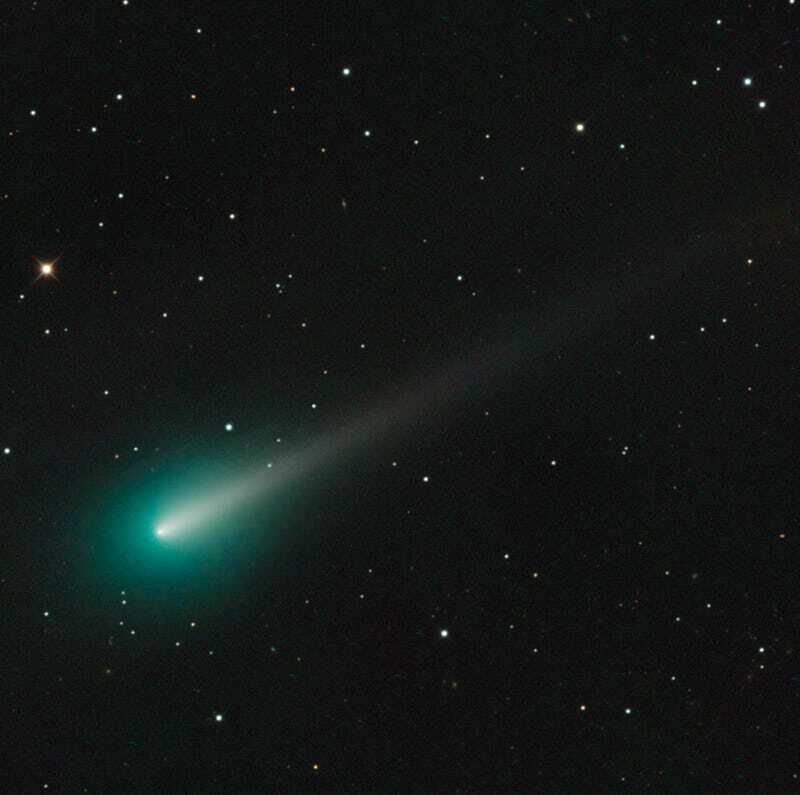 Comet ISON, which may or may not become the "Comet of the Century" skygazers have been hoping for, is alluring nonetheless in this stunning image by astrophotographer and astronomy educator Adam Block. NASA Captures New Photo of Potential "Comet of the Century"
Block captured the image early Monday morning from Mount Lemmon SkyCenter in Tucson, Arizona. "I am certain more images of this will be coming out shortly as it increases in brightness during its dive toward the sun," Block told NBC's Alan Boyle. "Here is hoping it survives that rendezvous and emerges as something spectacular on the other side! Although its future is questionable ... being prepared is always a sure thing to take advantage of quickly changing conditions." Block captured the image using SkyCenter's 32-inch Schulman Telescope – the largest public-only telescope in Arizona. That's some pretty heavy duty observing equipment, but you can catch a glimpse of the comet using considerably less powerful telescopes (though the comet is still too faint to see with the naked eye), as explained in this in-depth guide.